One interesting thing Nintendo is doing with the Switch is utilising smart device apps for features typically found directly on consoles. The most intriguing example is with online lobbies and chat, of course, though that isn't due to roll-out at launch. With the system just hours away from midnight launches, however, the Nintendo Switch Parental Controls app has started to arrive - it's easily accessible on Google Play here in the UK, though seemingly appeared and disappeared from the App Store - it'll likely go live formally with some announcements from Nintendo later today. We've downloaded it on Android and, well, it actually works. And quickly, too. When you boot up the app you need to sign into your Nintendo Account, and the app then tells you to prepare your Switch, providing a registration code and very clear instructions. Once you pop the code into the relevant Switch menu they connect remarkably quickly; that's it, you're good to go. Though some parental controls are available directly on the system, the app is clearly designed for more dynamic and detailed access for parents, and using their phone should make the process nice and easy. We'll test it more fully shortly, but if you're a parent picking up a Switch tomorrow it's worth keeping an eye out on your mobile store of choice. 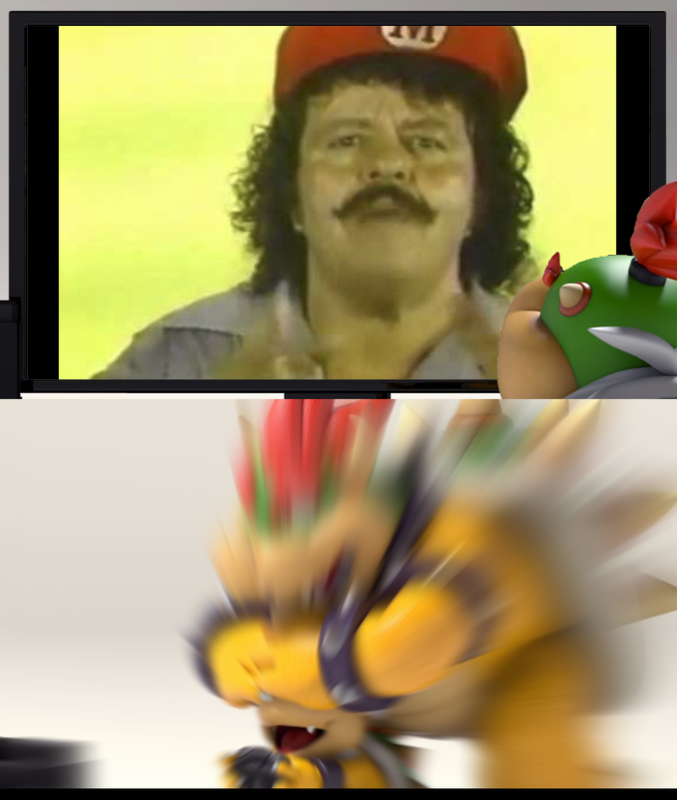 Looking at that picture and I suddenly thought: Who is Bowser Jr's mother? I'm going to use this app solely so I can have a game time log, since the system doesn't. Just what I always wanted. Who needs things like Virtual Console? anyone else slightly taken back by Bowser having a Princess Peach wallpaper for his phone... certainly explains somethings. I can't find it on the app store unfortunately :/ I don't have kids or anything, just wanted to check it out. @SLIGEACH_EIRE Yep, Nintendo should bow to you and you alone. Meanwhile, parents might enjoy this and as sometimes happens to people without kids they don't see the benefits of supporting kids (why do I have to pay property taxes if I don't have kids that go to school?). 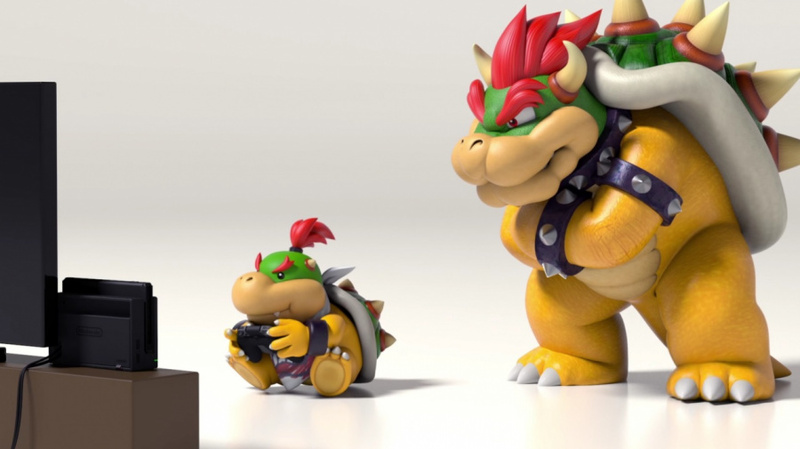 In this case, having robust parental controls that are visible to more parents may mean Nintendo will feel more bullish about supporting "Mature" games or helped with the decision to make things region free. @SLIGEACH_EIRE not you as you ain't getting one. Is the app available in all 154 countries listed on the Nintendo Account settings? @SLIGEACH_EIRE Why complain about something you probably had no intention of getting anyway? It should be noted that this app is the only way (currently) that one can view their play time and game logs, a la the 3DS. So at the very least, it will be useful to have for that purpose. love the advertisement for the app, but why isn't it available on Windows Phone? is Nintendo alongside many other companies trying to get rid of Windows Phone or are they just being mean? hopefully later on they will update the parental controls for the Nintendo switch so that they can be setup per each user instead of just having system wide settings. even having parental controls setup for each individual game would be nice. I think it's an exceptionally good idea to have these features available through an app. Though I don't fully understand why that should prevent them from also being accessible on the sytem itself. I'm getting it just for gameplay tracking. Does anyone know if there already is a set release date for that other Switch app? @Anti-Matter I have always wondered why Peach lets herself get "kidnapped" so often and so easily. You have to save the girl, fight against the evildoers and you will live happily every after. The End. @Anti-Matter with a little deeper sub-text of Princess Peach having Stockholm Syndrome which is why she allows it to happen all the time.